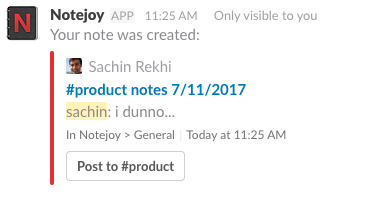 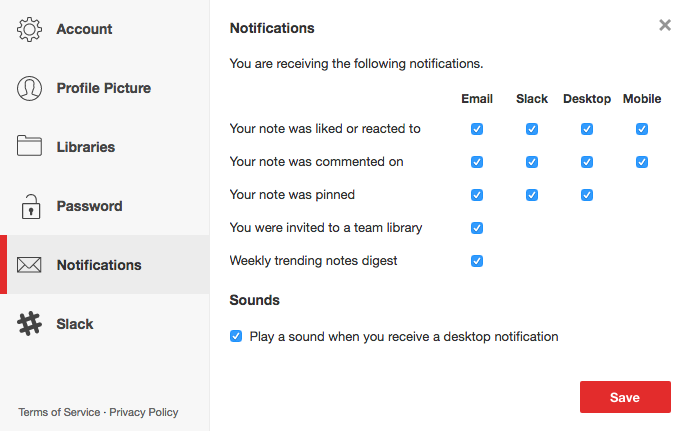 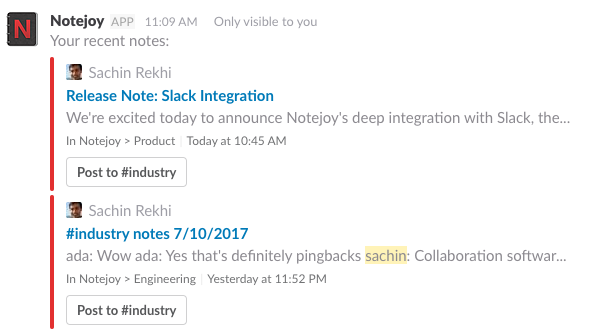 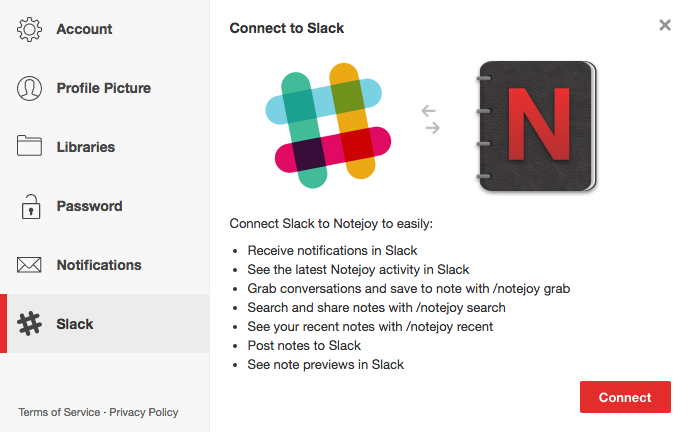 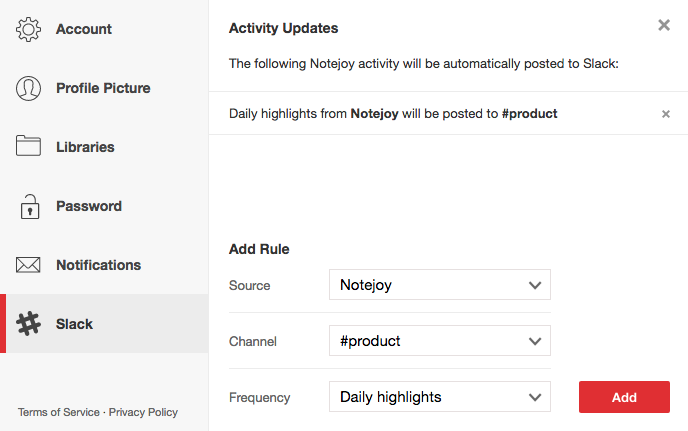 We're excited today to announce Notejoy's deep integration with Slack, the #1 team messaging app. 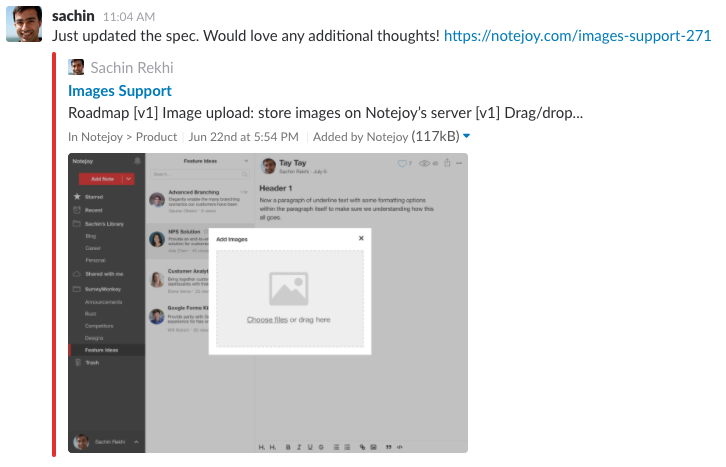 Slack and Notejoy now work seamlessly together, allowing you to take advantage of best-of-breed tools for communication & collaboration to make it truly effortless to capture, share, and discuss your team's work. 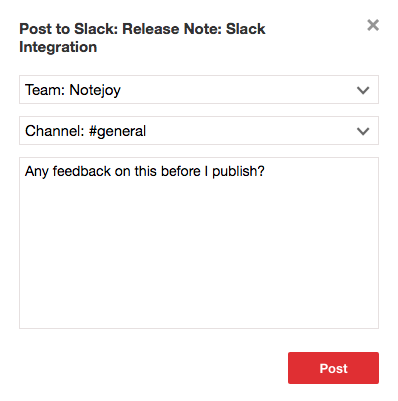 Get started by connecting Slack in Settings.